The biggest yoga studio in town now offers a range of yoga classes throughout the day. We are close to Hove train station on the top floor of the beautiful Dubarry building. DHY now has a comfortable membership lounge and its teaching spaces are full of sunlight and fresh sea air, heated to just what the class requires. We have a range of membership options available to you, from monthly subscriptions, unlimited yoga cards to concessions. Dynamic Hot Yoga welcomes all levels of yoga from beginners to experienced. 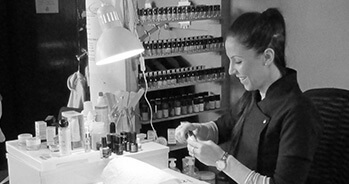 We offer a full range of styles and classes to suit everyone. DHY Beauty Therapy is now up and running with its own therapy room for relaxing Thai massage and acupressure treatments, We also have our new Nail bar in reception which offers Manicure and Pedicure services. We have two Studio spaces available for hire at very competitive rates, with a variety of additional features and resources. With natural light and full length mirrors making them perfect for Photo Shoots, Seminars, Workshops. 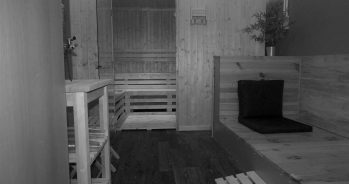 Introducing the newly built Sauna and lounge room, The use of saunas is believed to have numerous health benefits, including increased blood circulation, improving joint movement, easing pain and reducing stress levels.